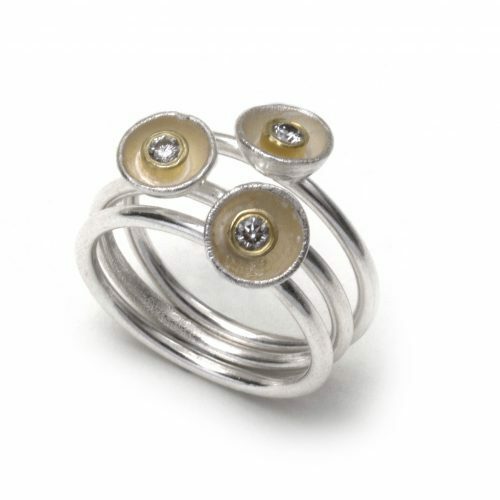 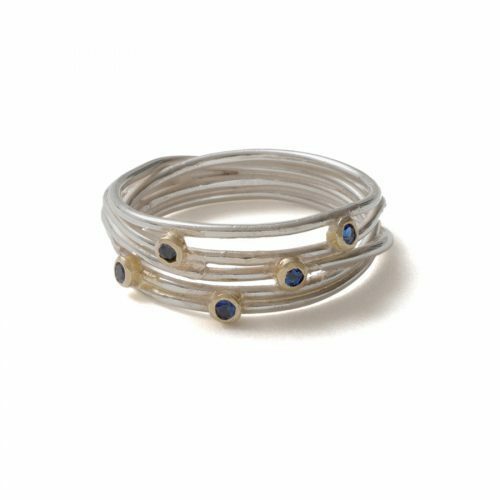 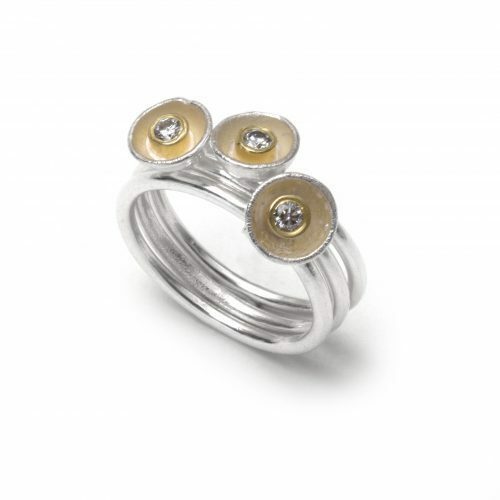 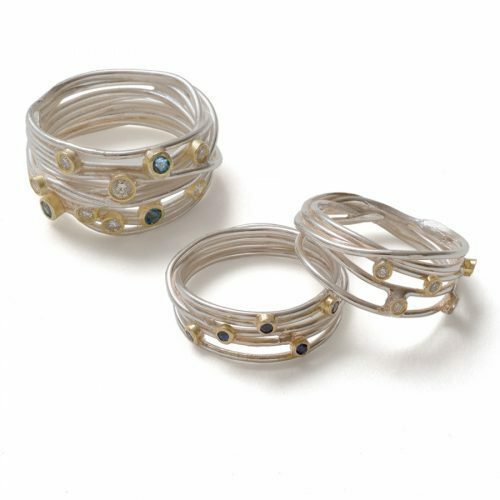 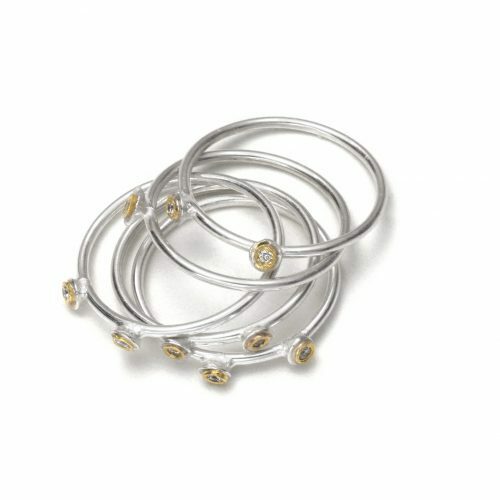 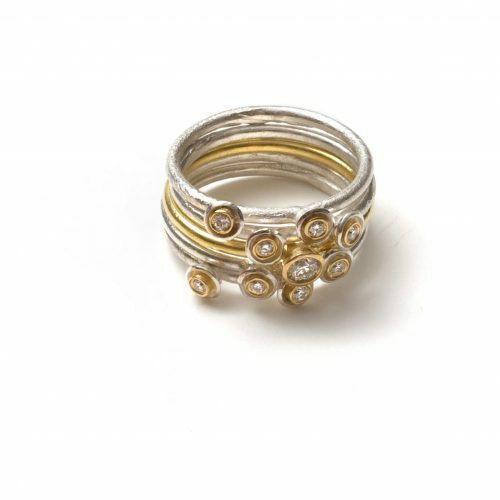 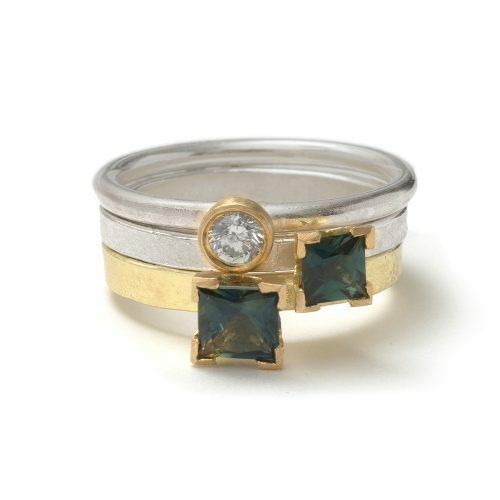 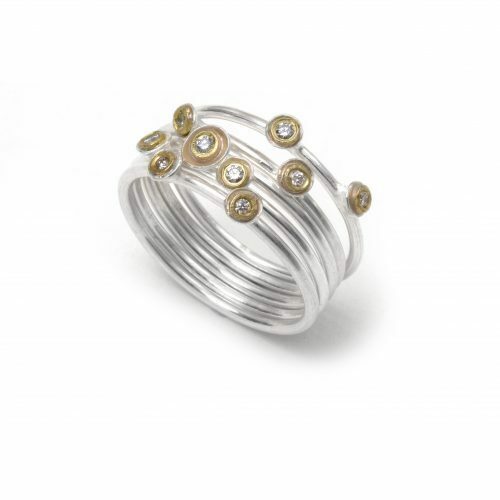 Formed gold and silver cups which hold individual round brilliant cut diamonds and are set on plain wire bands, these tactile stacking rings can be worn in a variety of combinations. 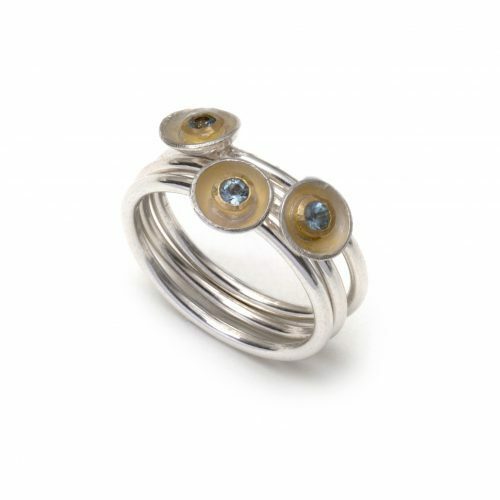 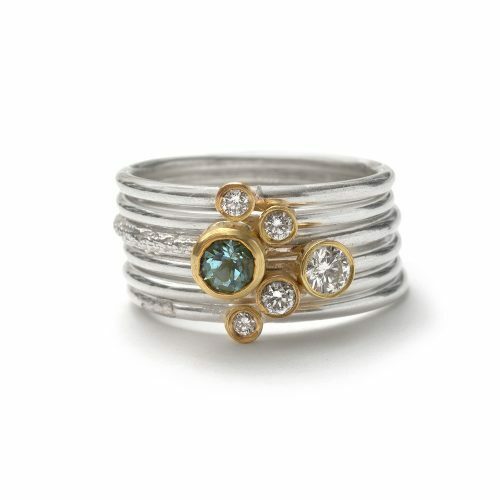 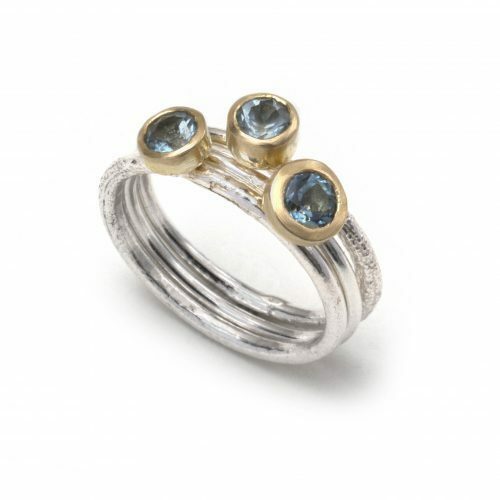 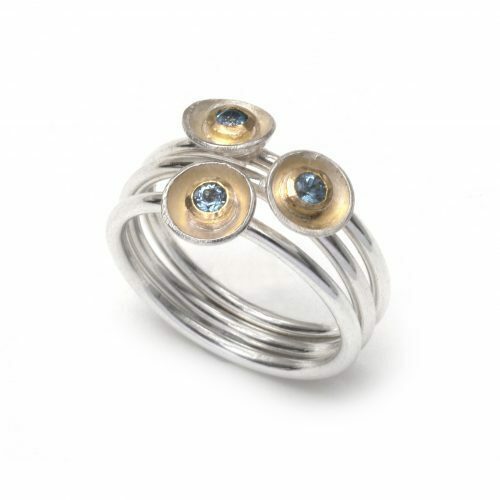 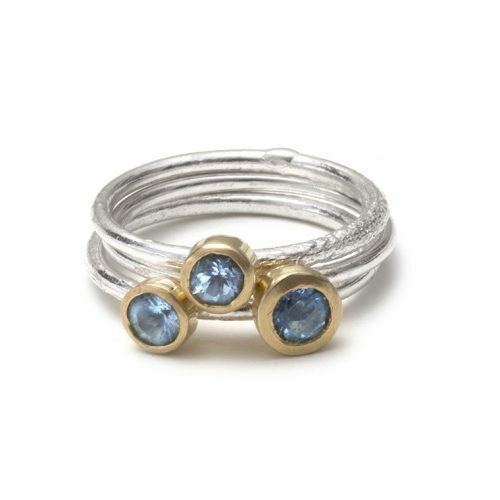 This beautiful ring has formed and reticulated cups which hold individual aqua marines and are set on plain wire bands. 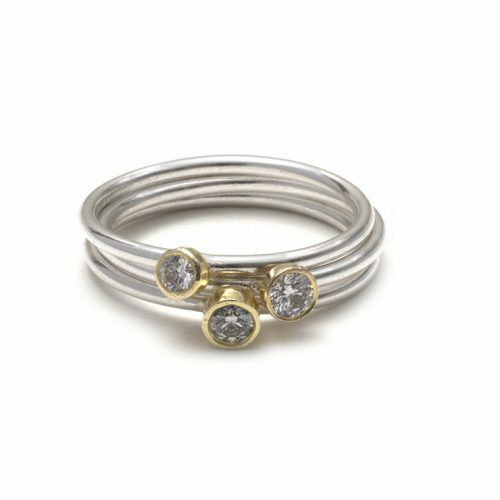 This beautiful ring has 3 formed and reticulated cups which hold individual brilliant cut diamonds and are set on plain wire bands. 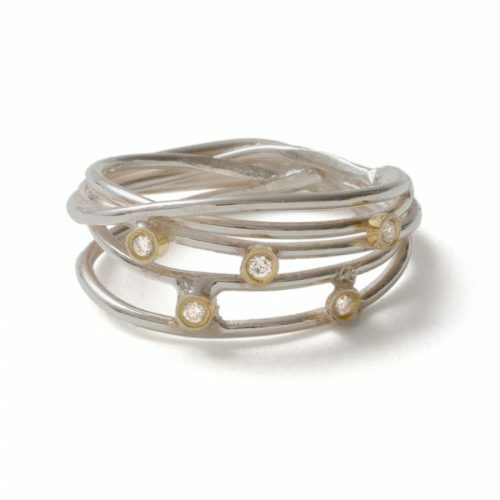 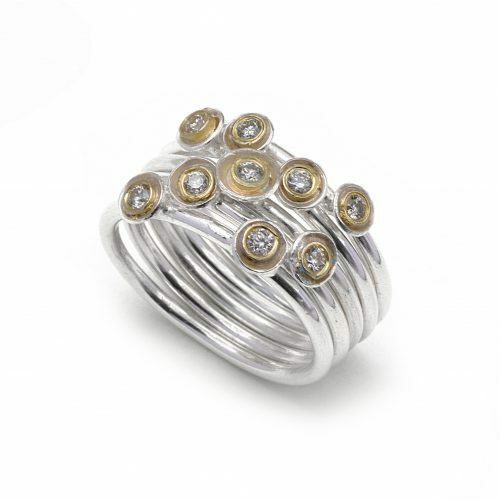 This beautiful ring is crafted from textured sterling silver wire and set with 5 round brilliant cut diamonds. 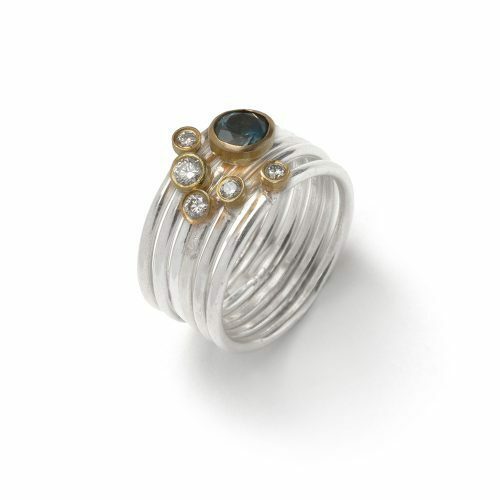 sterling silver wire and 0.1ct of diamonds. 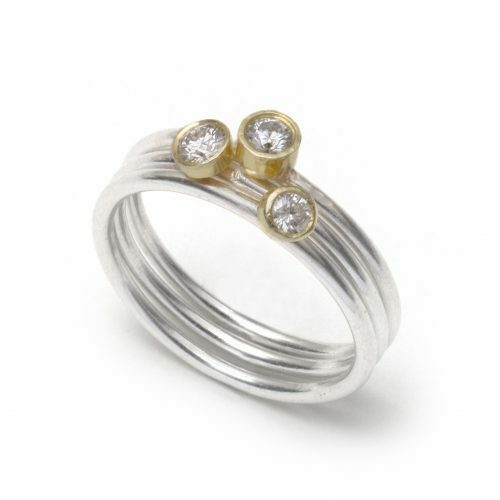 8mm wide x 1.8mm thick. 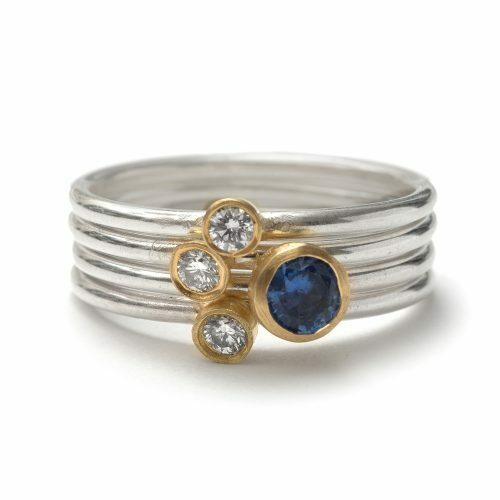 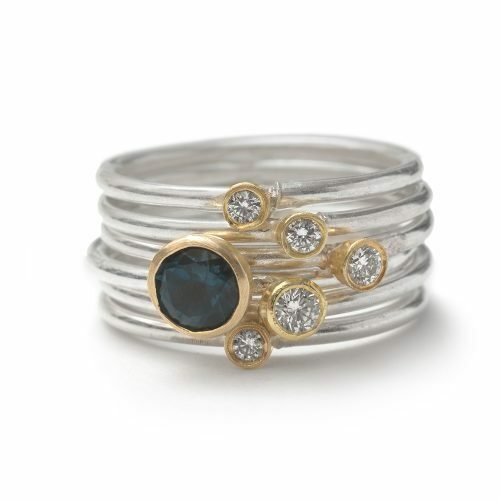 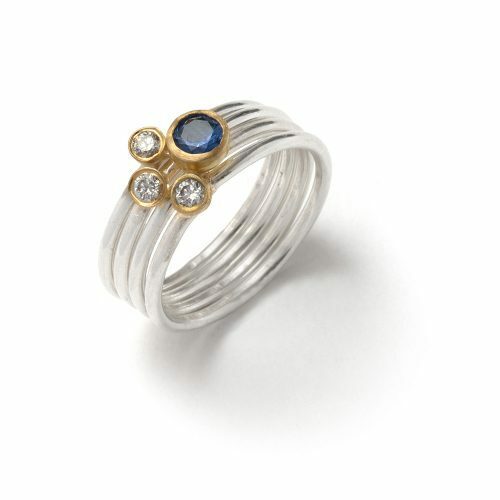 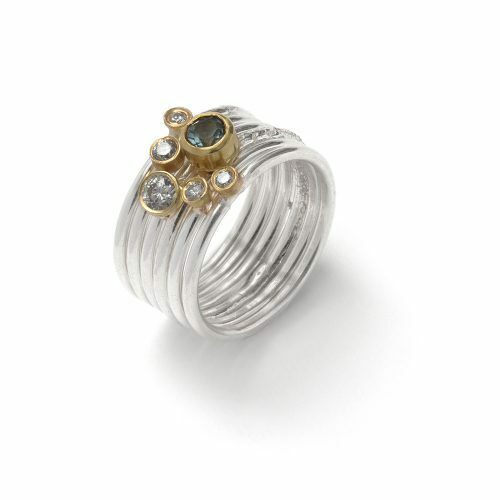 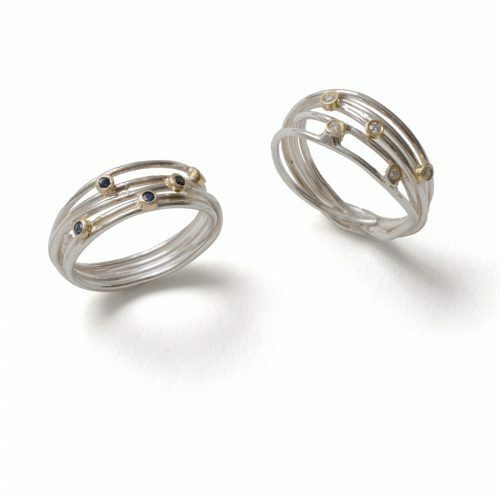 This beautiful ring is crafted from textured sterling silver wire and set with 5 Ceylon sapphires in 18ct gold. 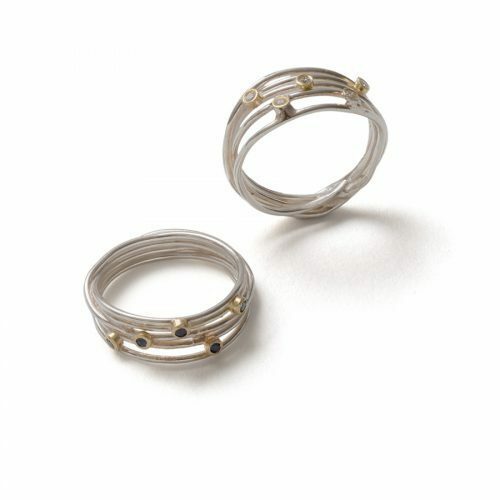 sterling silver wire, 18ct gold and 5 cylon sapphires. 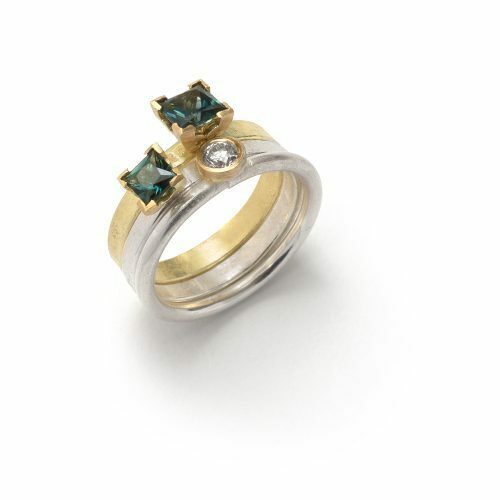 8mm wide x 1.8mm thick. 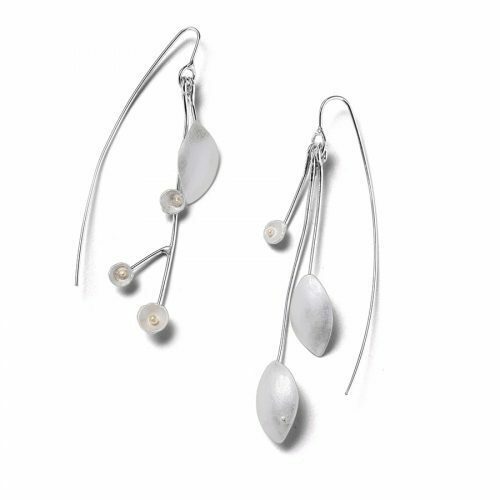 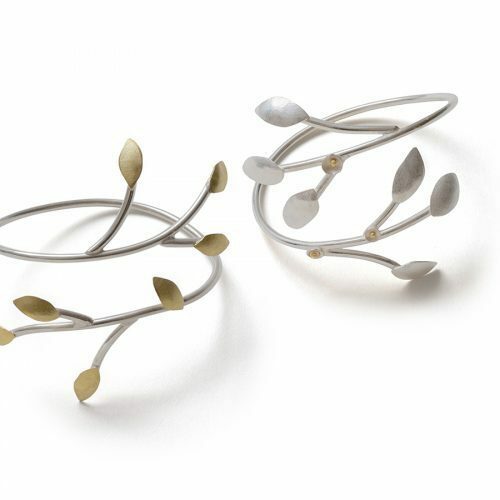 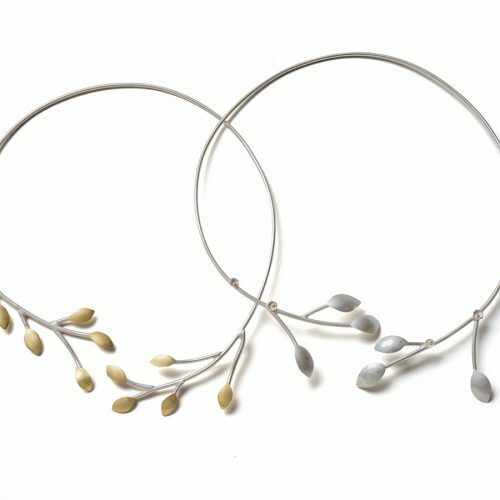 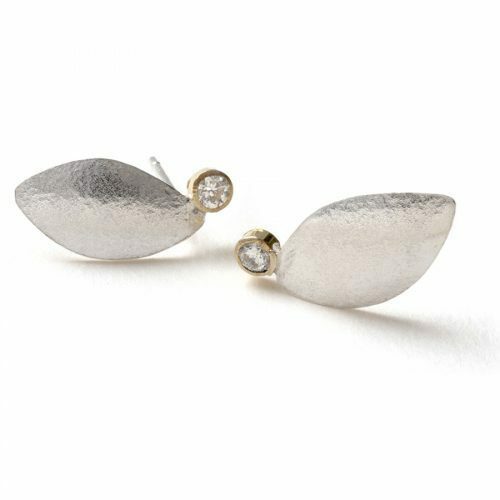 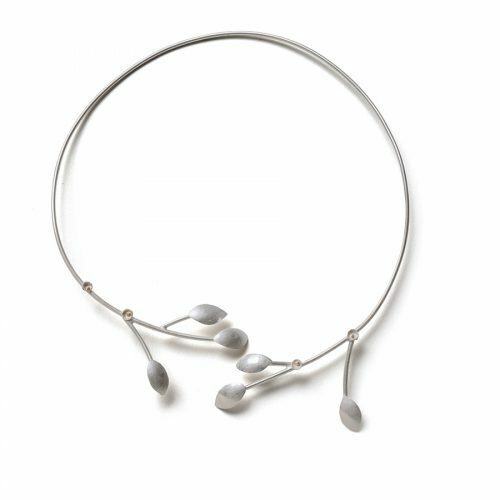 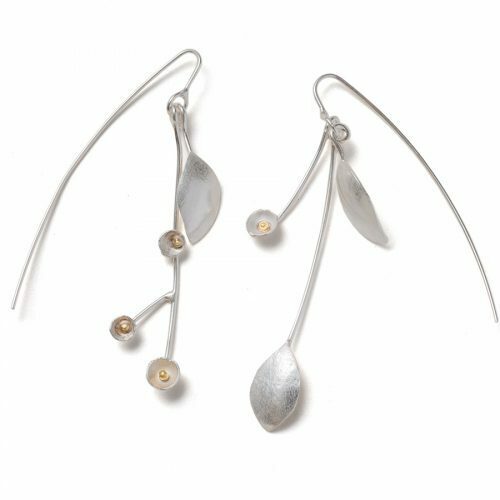 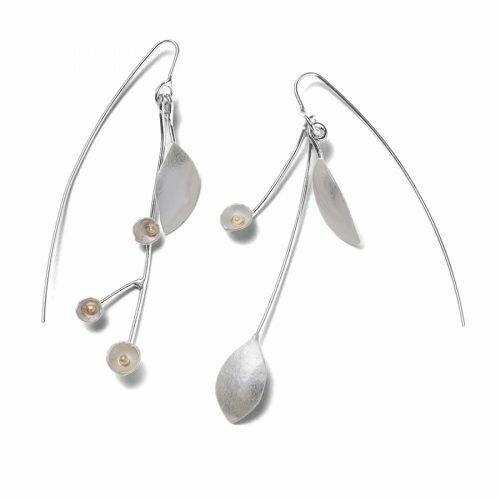 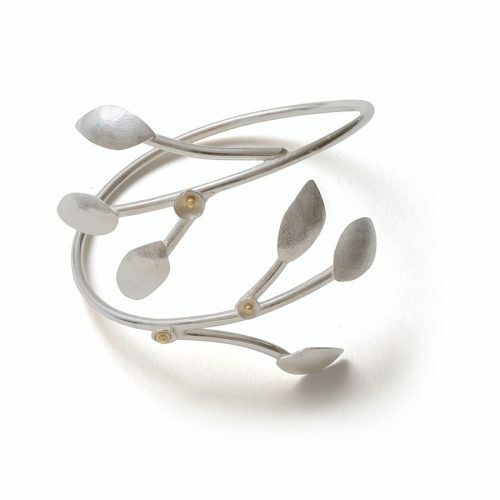 Textured and domed silver leaves, and small silver cups, each holding an 18ct gold bead, set onto wires and assembled into clusters, which sit around the wrist.